In Film Music, fourteen of the world’s best known film composers discuss their craft, revealing the creative process that led to the familiar sound of the most memorable films of our time. 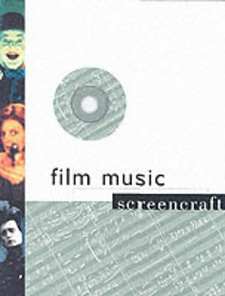 Like all titles in the Screencraft Series, Film Music is beautifully produced and lavishly illustrated with drawings, scripts, storyboards, models and stills from classic films. A companion CD features a composition from each of the fourteen contributors. Musicians, composers, filmmakers and film enthusiasts will find much to learn and much to enjoy in this unique volume. Copyright (c) RotoVision SA 2000. Design Copyright (c) 1998 Morlan Designm Inc. San Francisco. Layout by Art Media, London. Production and separation by ProVision Pte. Ltd, Singapore.